A spokesperson said, “Generation Next Bermuda is a youth group that continually strives to galvanise our generational peers and subsequent generations to be future leaders. To that end, over the course of the past several years, we have provided a platform for young Bermudians to be heard and lead on a plethora of matters, including but not limited to social issues, educational endeavours, and youth employment matters. “In 2018, we launched the Generation Next Youth Movement series, this series has been successful in promoting and promulgating the wealth of talented and promising young Bermudians that our island needs and deserves. Most recently, we launched our annual Christmas Food Hamper Giveaway which will be an annual Generation Next community initiative. “As a youth group, we have grown from strength to strength by imbuing an indelible connection with Bermuda’s forward-thinking and enterprising young people. As such, we take the view that now is the appropriate time to further enhance our offerings that we can provide to our rising populace, as we now seek to expand our network globally. 1] Generation Next Young Professional’s Retreat 2019, which will be held between 31st July- 4th August 2019. “Generation Next is putting together a unique Bermudian experience for visiting young professionals; through these efforts, we believe we will further enhance our island’s status as a world-class tourism destination and a global business hub. 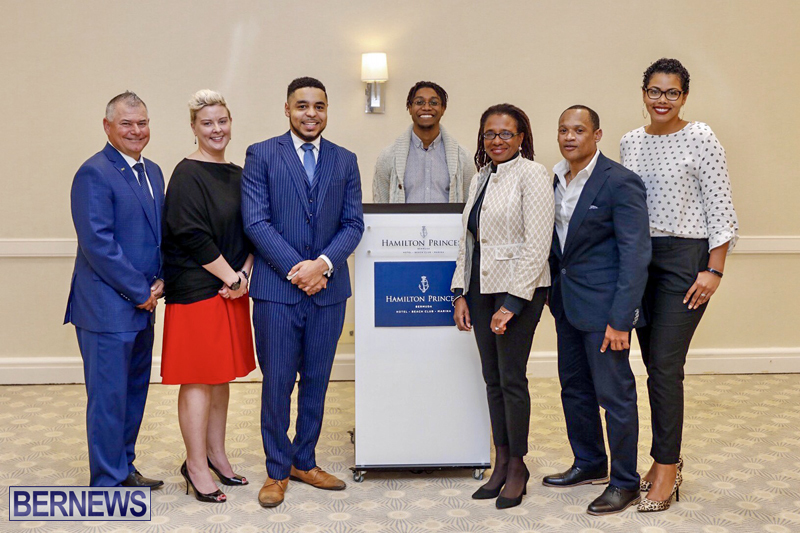 “The retreat will bring together the next generation of international industry leaders to network and connect with our Bermudian young professional demographic and will foster an invaluable, long-term connection between local young professionals and their overseas counterparts. “The retreat has two distinct purposes and aims; first, we intend to allow young professionals from around the globe, specifically from our East-Coast United States and Caribbean regions, to network and connect with our Bermudian young professional demographic at a networking session on 31st July that will be open to the public. “During the retreat, attendees will develop connections at a networking event that will be open to the public. Additionally, attendees will take part in several uniquely tailored Bermudian themed events that showcase our island’s beauty, history, culture, infrastructure as well as an overall tourism product. These will include a guided island tour, VIP CupMatch experience, beach barbecue, a Bermudian brunch hosted by the Minister of Tourism Zane DeSilva. Sponsors of the event include the Hamilton Princess, Bermuda Tourism Authority, RenaissanceRe, Smith Technologies, Bermuda Chamber of Commerce, Ministry of Tourism, and Skyport Bermuda. “Our group has identified several Bermudian university students and young professionals who are located across the United States, United Kingdom, Canada, and the Caribbean, who will act as ambassadors for the inaugural Bermuda Young Professionals Conference. “Many of these ambassadors are leaders in their respective student body organisations; as such, they will advertise the retreat through strategic, campus-wide promotional campaigns and will implement a specially designed marketing plan by conducting social media advertising and information/promotional sessions at their respective universities and work places with their student and professional colleagues to maximise attendance at the event and to increase the island’s exposure. “As you are no doubt aware, Bermuda’s tourism economy has grown tremendously over the past two-and-half years and tourism entrepreneurs have been a major part of that success by providing visitor experiences that haven’t previously existed.